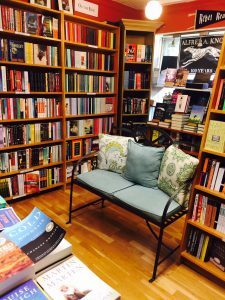 Booklovers Tess Callahan and Flannery James are embarking on an 8-day cross country journey into the land of bookstores. Each day we will offer staff picks from some of the nation’s finest, most curated and eclectic booksellers. Our only frustration in planning this odyssey is that there are so many more wonderful bookstores we cannot reach in 8 short days. We may have to make it an annual event! 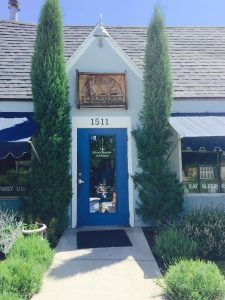 Betsy Burton and Anne Holman, booklovers always, have owned The King’s English in Salt Lake City since 1977. Over the years they’ve made it their mission to match books to readers and remember their reading preferences each time they visit the store. 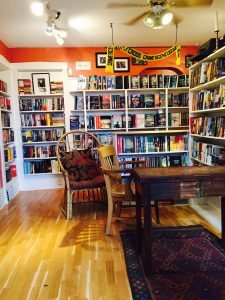 The bookstore offers book groups, events, staff picks, movies, music & gifts. 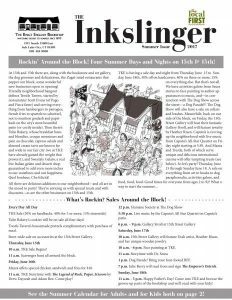 In addition, they offer a newsletter called The Inkslinger filled with reviews of the staff’s favorite books and authors. There’s something for everyone—fiction, nonfiction and children’s books—plus a calendar of upcoming events, special features and author interviews. Of their excellent staff picks, we purchased a signed First Edition copy of THE MINISTRY OF UTMOST HAPPINESS by Arundhati Roy. 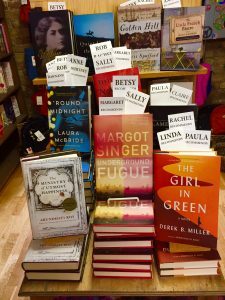 Additional staff picks include books by Margot Singer, Laura McBride, Derek B. Miller, Nina George, Francis Spufford, Jamie Harrison and Alexandra Fuller. 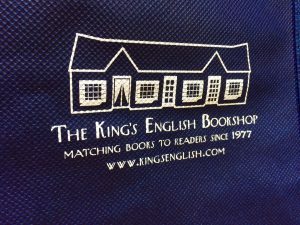 We thank The King’s English for making our first bookstore stop a delightful one.